Much like any region, if you go to enough wine related events, you end up bumping in to the same people. This is typically a good thing as you’re all there for wine and wine is, well, a unifier of souls. 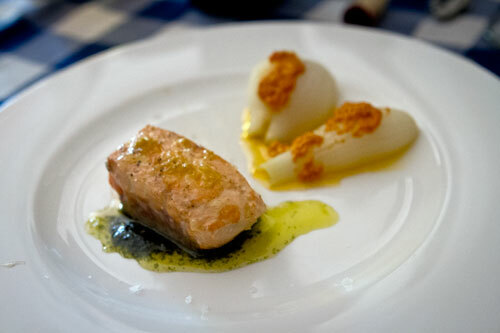 But, it’s because of this that we’ve gotten to know Els Torrassos, bon vivants who are based up in Girona on Torrassa street (hence their name). 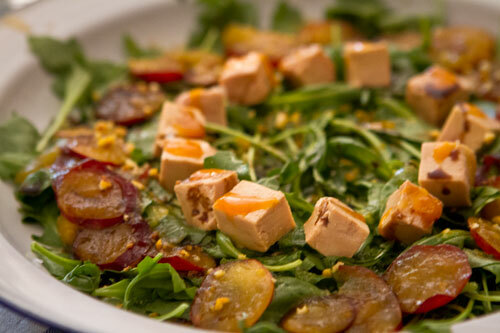 But they are not only passionate wine and food lovers, but also skilled cooks who can organize meals in peoples homes paired with wines and have a wine club wherein each month they select six bottles of wine for their suscribers. 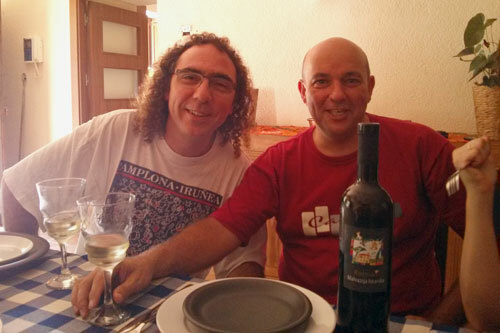 While we first met this friendly wine gang in Torroja del Priorat last year it took a few more run-ins in both Empordà and Priorat before we realized that meeting up for a meal and wine insanity up in their neck of the woods would be beneficial to all. 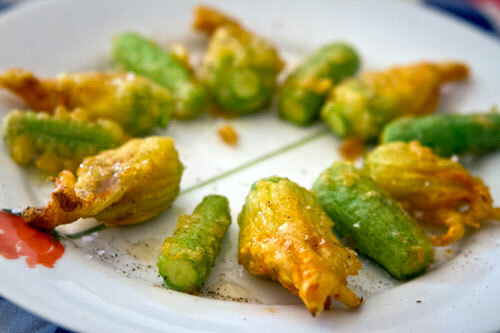 This had been in the works since the release of our Priorat guide, but this last weekend, it finally became a reality. A tasty, tasty reality. 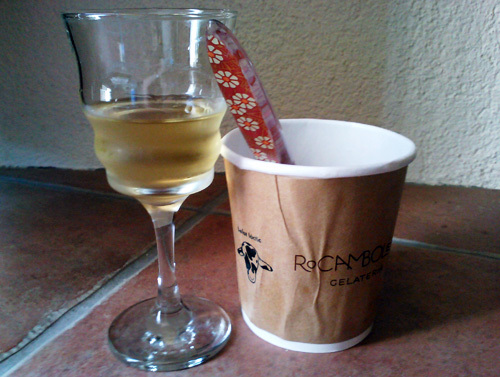 The wine pairings for the meal were our responsibility. With a huge slew of tasting samples lying around at the Vinologue HQ, we decided to bring a batch from Croatia to give a little celebratory nod to the country for joining the EU this past weekend. We also tossed in a bottle from the very nice region of Herzegovina for fun, as well as a dessert wine from Menorca to end the meal on a sweet note. 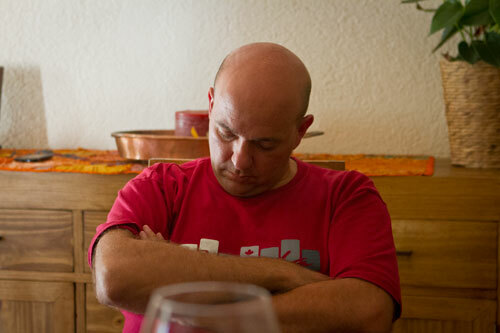 But, along with the amazing meal, the wines were all tasted with excitement and were generally well-received. Starting with the Nuić Žilavka, a native white grape varietal in Bosnia & Herzegovina which was very similar in style to the fresh Macabeu and Picapoll whites you find in Catalonia. 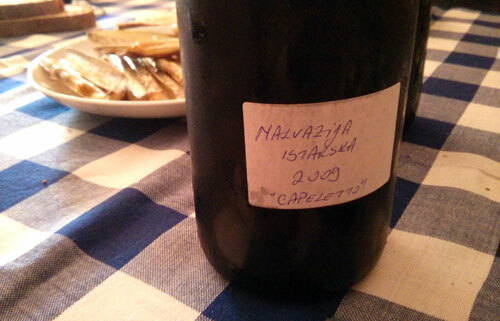 The focus of the Istrian wines we brought was their native white grape Malvazija. 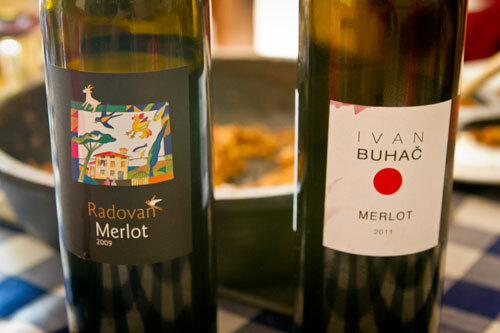 The various Radovan bottles were to show what that family winery in Višnjan is capable of and to pit their young Malvazija against their aged Malvazija. 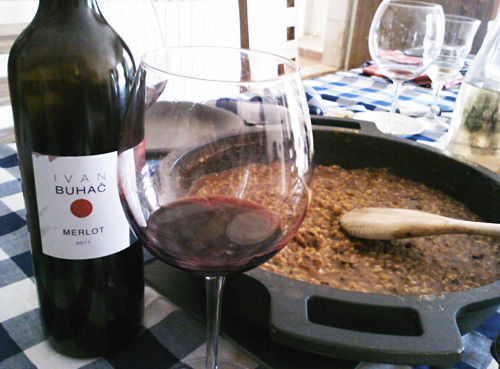 The Buhač was to show the difference between an interior Merlot versus one from the coast. Obviously, it wasn’t a completely fair comparison given that the Radovan bottle was aged longer, but still it illustrated the wickedly sharp contrast in Continental vs. Coastal winemaking in Croatia. 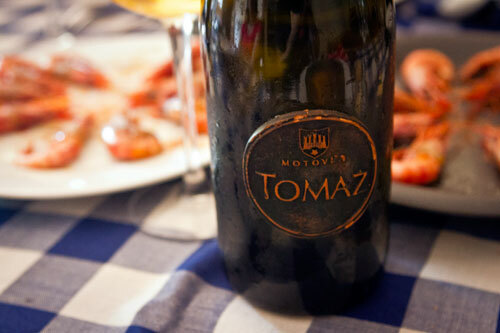 The star of the meal, though, was the Tomaz Malvazija. That is an amazing, lively bottle. It was insanely unique from the other Malvazija wines that we tried. This was most likely due to the mix of acacia and mulberry barrels they used for aging as well as the natural fermentation of the wine. It’s an amazing multitude of aromas and flavors that kept shifting from oily textures to orange blossoms to even red apples. A stunning bottle, although afterwards, we wrote to Goran who said that it changes all the time given the nature of the wine. We closed with the Merlots, the Buhač showing green pepper elements and a more fresh wine while the Radovan was spicier and more potent. The group was split as to which they preferred and generally liked both of them a great deal. To close, we had the sweet from Binifadet as trying to bring back a decent Prošek from Croatia isn’t easy and this made a good palate cleanser. It was a huge selection of wines and it was great fun to experience them with serious wine fanatics like us, who truly enjoy discovering new bottles. Afterwards we were all in need of a little walk down to the river nearby to bring the senses back in to line, and some even dipped their feet in the water. We then headed back home as the sun was finally setting at around 10PM, satisfied to have spent the day in such good company.